Georgia Bullen is the Director of Technology Projects at New America’s Open Technology Institute. 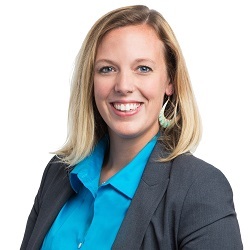 In this role, she leads and manages the Measurement Lab, leveraging her background in data visualization, data analysis, urban planning, software development, and public policy. Bullen holds a Master of Science in Urban Planning from Columbia University, and a Bachelor of Science in Psychology and Human-Computer Interaction from Carnegie Mellon. A history and overview of Measurement Lab — the largest collection of open Internet performance data on the planet. As a consortium of research, industry, and public-interest partners, M-Lab is dedicated to providing an ecosystem for the open, verifiable measurement of global network performance. Real science requires verifiable processes, and M-Lab welcomes scientific collaboration and scrutiny. This is why all of the data collected by M-Lab’s global measurement platform are made openly available, and all of the measurement tools hosted by M-Lab are open source. Anyone with time and skill can review and improve the underlying methodologies and assumptions on which M-Lab’s platform, tools, and data rely. Transparency and review are key to good science, and good science is key to good measurement. Stephen Soltesz is an SRE at Google, working exclusively in service of the Measurement Lab project. Over the last decade, Stephen has supported Measurement Lab in various roles: originally as a graduate student at Princeton University where he received a Master of Arts in Computer Science, then as a Technologist at the Open Technology Institute and currently as an SRE at Google in NYC where he is modernizing monitoring and management of the core M-Lab platform. Yves Le Traon is professor of Computer Science at University of Luxembourg, in the domain of software engineering, with a focus on software testing, and software security, and applications in the domains of mobile computing and data-intensive systems. 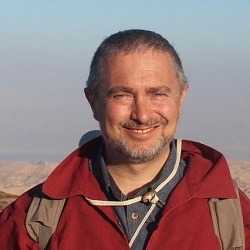 He is head of the SerVal group (SEcurity, Reasoning and VALidation) of the Interdisciplinary Centre for Security, Reliability and Trust (SnT) which is composed of around 30 researchers. Professor Le Traon received his engineering degree and his PhD in Computer Science at the “Institut National Polytechnique” in Grenoble, France, in 1997. From 1998 to 2004, he was an associate professor at the University of Rennes, in Brittany, France. He is the co-founder of the Triskell INRIA team, which focused on innovating design, modeling and testing techniques, such as Model-driven Engineering. During this period, Professor Le Traon studied design for testability techniques, validation and diagnosis of object-oriented programs and component-based systems. From 2004 to 2006, he was an expert in Model-Driven Architecture and Validation in the EXA team (Requirements Engineering and Applications) at “France Télécom R&D”. In 2006, he became professor at Telecom Bretagne (Ecole Nationale des Télécommunications de Bretagne) and created a research group focusing on security testing and vulnerability detection. His current focus is on automating and unifying the testing and debugging processes using software analysis techniques such as mutation testing, search-based testing, symbolic execution, fault localization and automatic bug fixing. He has been General Chair of major conferences in the domain, such as the IEEE International Symposium on Software Reliability Engineering (ISSRE), the International Conference on Software Testing, Verification and Validation (ICST), and Program Chair of the 2016 IEEE International Conference on Software Quality, Reliability and Security (QRS). He serves at the editorial boards of several, internationally-known journals (STVR, SoSym, IEEE Transactions on Reliability) and is author of more than 200 publications in international peer-reviewed conferences and journals such as ISSTA, ICSE, TIFS, TSE, PLDI or Usenix Security. Prof. Le Traon was the head of the Dept. of Computer Science for the period of 2013-2016 and is study director of the master in information security management (MSSI) of University of Luxembourg. Our daily life is facilitated by the many software, and hardware, that are supporting most of human activities. However, there is not a single day without news reporting a major failure somewhere in the world… not even counting the small glitches still affecting us too often. To prevent that, software testing is the main approach for eliminating as many defects as possible in software before releasing it. The role of software testing is thus to find defects, typically to detect bugs. The complementary role of diagnosis, fault localization and repair, is to fix them. These two activities are traditionally distinct, and are usually assigned to different teams… this situation has deeply influenced the development processes, and in particular the more recent devops processes based on continuous integration, like the ones deployed by large software companies such as Google. In this presentation, we motivate the importance of testing for improving reliability and security, we analyse the Google devops process in this respect… and ultimately we revisit the recent advances in automated program repair to foresee a future in which the continuous integration loop would be inverted, in which bugs would be preventively removed before any test is run.